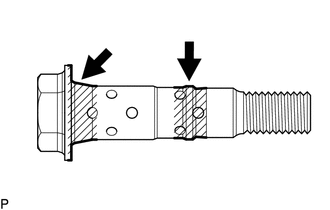 There are different types of camshaft timing gearbolts. Make sure to check the identification mark todetermine the tightening torque. 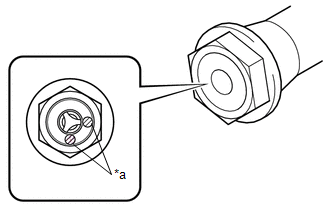 (d) Turn the crankshaft pulley assembly clockwise approximately 30 to 90°. 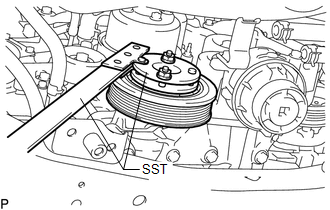 (e) Using SST, hold the crankshaft pulley assembly. (f) Tighten the camshaft timing gear bolt.